[Spoiler alert for Downton Abbey viewers who have not finished Season 3] Eggs have a bad reputation in today’s New World. Perhaps it’s the hype about cholesterol. Nevertheless, eggs are eaten in both decadent and lowly fashions throughout the world. While on road trips in Africa, a hardboiled egg bought of the street is one of the few perfectly safe, filling foods to eat. 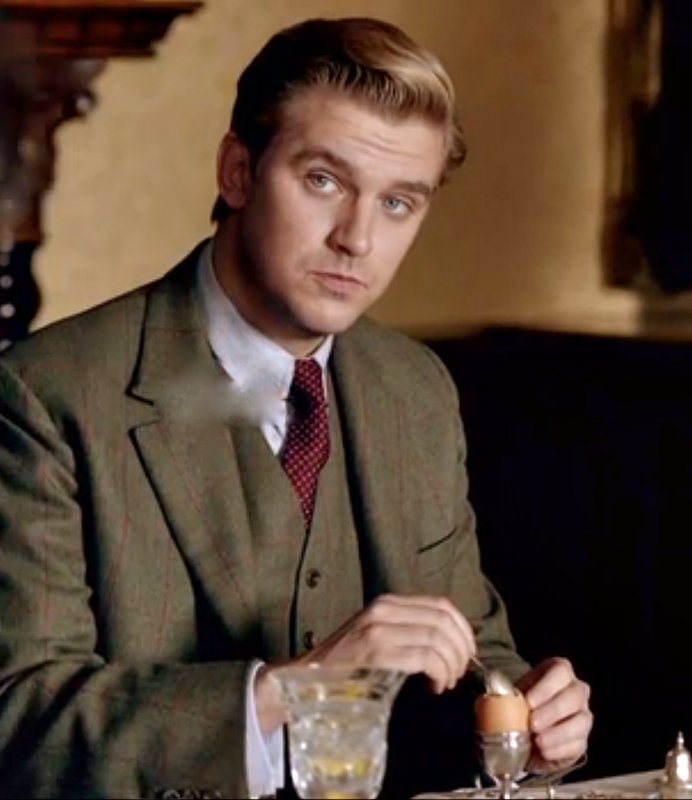 Matthew Crawley eats – or should I say ate (sob, sob) – his post-war British aristocratic egg in a fine silver egg cup. He begins the process by cutting off the top of the egg with a small spoon and then, while discussing the management of the estate with his father in-law, removes and eats small bits of egg. You can watch the entire process in Season Three, Episode Three beginning at minute 5:16. 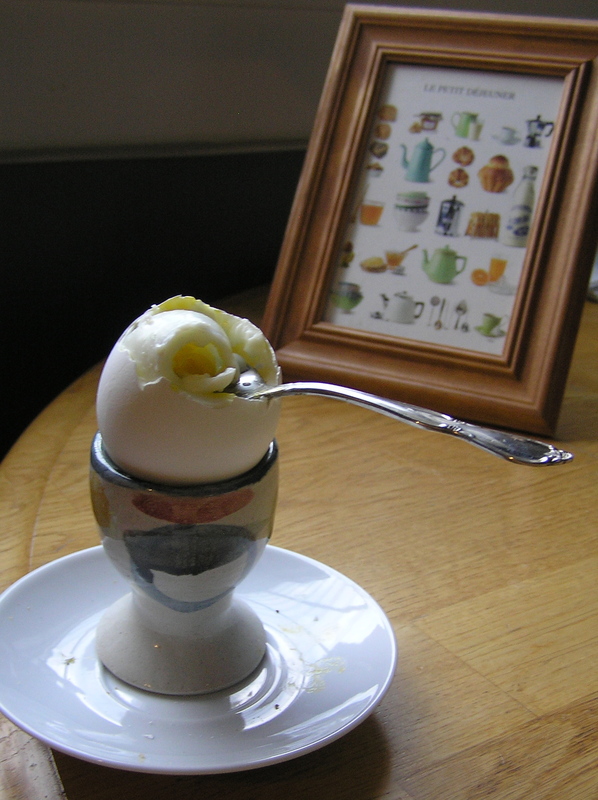 Boiled eggs are a common component of a European breakfast. We ate them often when we lived in Germany and we’ve picked up a few egg cups along the way to accompany them. Why does one need an egg cup? Well, what if the egg white comes off with the shell when you try to peel it? (I hate that). What if the egg is soft-boiled? It’s so much easier, and classier, to scoop out the nutritious insides while the white shell sits solidly in a safe cradle. In fact, that’s how my daughters now expect to eat their eggs. We’re bringing a little bit of the Euro finery into our daily breakfast routine. I enjoyed finding a few simple, unique egg cups at flea markets in Europe. One of our favorite egg cups, featured below, is from Dedza Pottery in Malawi, Africa. IKEA also carries basic white ones that are easy to replace if it falls on the floor while little Johnny focuses on scooping out the whites and doesn’t pay attention to how close the cup is to the edge of the table (only speaking from experience here). 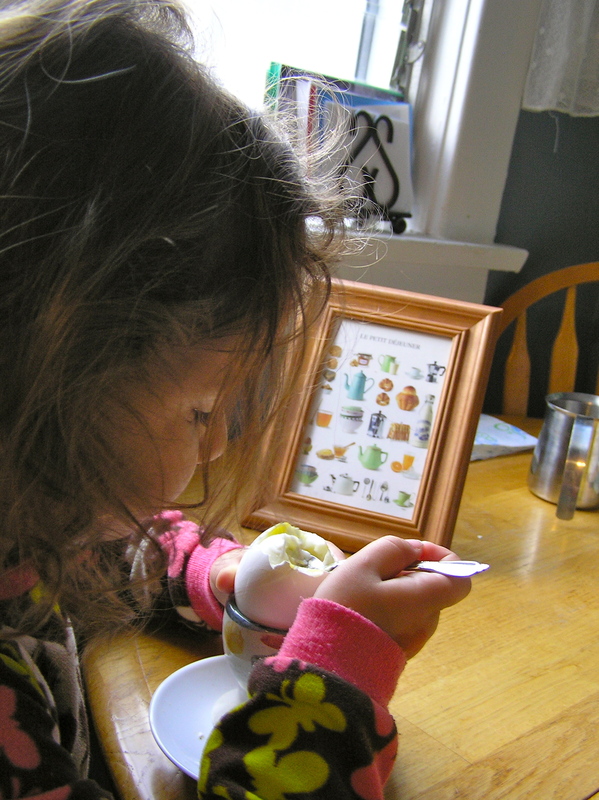 Our morning breakfast isn’t quite as refined as those served in Downton Abbey – still in pajamas with bed head – but we can still enjoy a perfectly cooked egg from the cup. Ceramic egg cup from Dedza, Malawi. 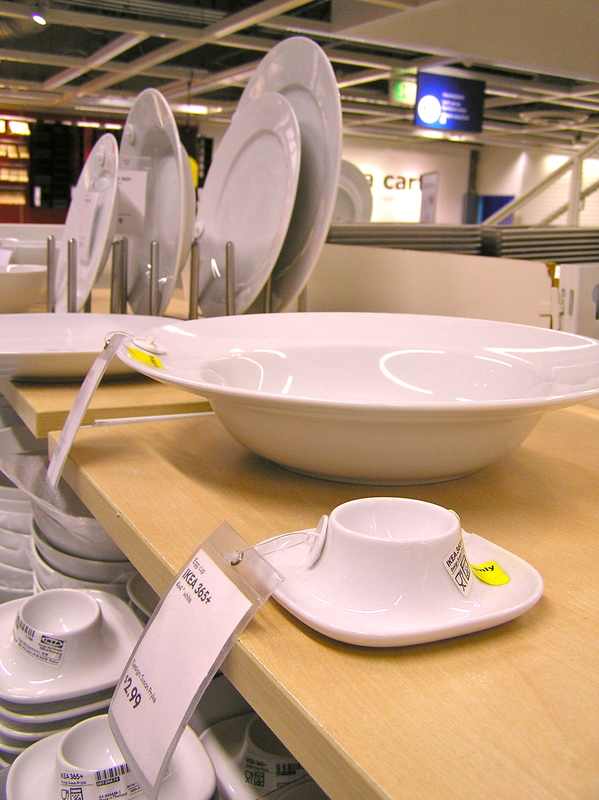 IKEA’s egg cup with built-in saucer. Quite handy (and cheap!). Love this! I was just at my local Ikea and this egg cup was on clearance. I knew of should of snatched that up!